One of the grossly misunderstood topics in Real Estate is the short sale transaction. There are a large number of Realtors who unfortunately do not possess the knowledge to properly educate their clients on what should be expected of them when trying to make a short sale purchase. The problem is further exacerbated because there are an inordinate amount of Realtors who are now listing short sales who have no business doing so! Having poor seller representation in a short sale is far worse than a traditional sale because the home owner is relying on this person to help them navigate out of a financially difficult time. Without a short sale approval the most likely outcome is a foreclosure which is the very thing a seller was trying to avoid by going the short sale route. As the volume of short sales has grown so has the amount of Realtors who are looking to cash in. Money all too often gets in the way of sound decision making. The code of ethics in Real Estate clearly states that you should not get involved in a type of Real Estate transaction in which you have no expertise. This is the reason why there will be short sale lawsuits against Realtors! When I am representing a seller in a short sale and receive an offer from a buyer’s agent, most of the time the offer will have significant changes that need to be made in order to protect the seller’s interest. Low ball short sale offer ~ If you think a short sale is an automatic invitation to submit a ridiculous offer to the seller you might as well not even bother. The majority of the time you will see my short sales priced right at market value or even slightly below market. The property is already a bargain to begin with. Both buyer’s and seller’s need to understand that once a short sale offer is submitted to the lender they will be sending out either an appraiser or Real Estate agent to do a broker price opinion (BPO). The contract price needs to be within reasonable proximity to market value or the offer will be rejected. Inappropriate escrow funds ~ In Massachusetts the typical deposit when buying a home is $1000 at the offer and a balance of 5% upon signing a purchase and sale agreement, as we are a two contract state. These figures are of course negotiable but don’t expect you are going to be putting up two nickels the seller can rub together. The whole point of having escrow funds is to ensure a buyer does not walk away from the transaction. You need to have enough funds to prevent that from being easy to do. Doing a home inspection after short sale approval ~ This is not in the slightest bit negotiable. A buyer will do their home inspection up front in the normal time frame for doing an inspection which is typically 7-10 days from the offer being accepted. Do you really think we are going to wait a significant amount of time to get short sale approval and then you are going to be able to walk because you don’t like the the fact there are no GFI plugs in the bathroom or the water heater is at the end of it’s life expectancy? Sorry friend it does not work that way. If you are buying a short sale and are worrying about losing $400-500 you shouldn’t be looking at one. Additionally, if there are issues from a home inspection you can negotiate a possible credit. Once short sale approval comes the lender doesn’t want to hear about any problems. As a buyer the other thing to consider is the fact that you would be out of the market for months when you could have discovered an issue that might cause you not to move forward without waiting all that time. Leaving the purchase and sale signing date until after short sale approval ~ You are either going to purchase the home or you aren’t. We will not be waiting until after short sale approval to have a contract in place. Everything will be negotiated and agreed to up front. Not getting a financing commitment right away ~ If you are going to purchase one of my short sale listings you will apply and get your financing before short sale approval. When the lender approves the short sale they will more than likely ask for a 30 day closing. We will NOT be waiting to find out if you are able to get financing that quickly or if at all! Submitting an unrealistic closing date ~ Short sales should really be called “long sales” because most of the time they take longer to complete than a traditional sale. If you are buying a short sale you need to take this into consideration. If you are not committed to waiting then don’t get involved with a short sale. My short sales on average take about 90 days for short sale approval. The closing date should read “30 days from short sale approval”. You can not put an exact date when we don’t know when it will be! Not agreeing to wait 90 days for short sale approval ~ The buyer we will be looking for is going to be committed to the property. If you think that you are going to find your self restless 5 weeks later because we don’t have an approval yet then a short sale is not right for you. Don’t forget you are purchasing a home that is probably a pretty decent value. It is worth the wait! It clearly would not be in the best interest of the seller if a buyer bailed on the transaction a month or two in and they had to start the process all over again. Asking to take over the short sale because you are an investor ~ Sorry my friend if you are an investor please feel free to make a realistic offer but don’t think you are going to take over the negotiations with the lender. Don’t think you are going to make a low ball offer and the seller is going to accept it while you look for an end buyer to sell to and make a handsome profit. No I don’t think so! The seller hired me to complete the short sale. I don’t feel like defending myself in court on why I let an investor take over the obligations I was hired to perform. Folks these are the kind of things that go on every day in short sales because seller’s do not do their home work in picking a short sale Realtor to work with. Don’t make that mistake. When you need to short sell your home do your research and hire a pro! These are all great reasons to reject short sale offers. Who you work with to complete your short sale will have the greatest impact in helping you reach your financial goals. Completing a short sale remains a much better alternative than letting a property go to foreclosure for a number of reasons centered around credit and your ability to buy another property in the future. I am successfully completing short sales through out the Metrowest Massachusetts area as well as parts of Worcester County. As of this writing in four years, knock on wood, I have a 100% success rate for short sale approval! I work hand in hand with a local short sale Real Estate attorney who knows how to get short sales to the closing table! If you are outside of the Metrowest Massachusetts area or even in another state and need to do a short sale please feel free to contact me and I will be happy to refer you to a Realtor in your location that handles short sales and knows what they are doing! I have referred short sales to numerous Realtors all around the country. About the author: The above Real Estate information on 8 reasons why you will not buy my short sale listing was provided by Bill Gassett, a Nationally recognized leader in his field. Bill can be reached via email at billgassett@remaxexec.com or by phone at 508-435-5356. Bill has helped people move in and out of many Metrowest towns for the last 25+ Years. Bill, I certainly share your opinion and have whether I represent a seller or a buyer. Doing inspections before getting a short sale approved to me is a hidden negotiation tactic should there be a concern for my buyer. I like for my buyers to be 100% committed, although they do fear about a short sale not closing, although I never had a short sale not getting approved whether I represent a buyer or a seller. I do my ground work when an offer is submitted. For sellers I represent, we negotiate offers that have potential getting accepted. The problem is many agents representing buyers really don’t know how do short sale. You hit the nail on the head! I will represent Buyer’s in a Short Sale and the first thing I educate them on is the process. Short Sale applies to the Seller, NOT the Buyer. In Texas, I repeatedly work with one Short Sale specialist. Her name is Rebecca Anderson. She works diligently with loss mitigation departments at all major banks. Like you, she knows how to avoid the red tape by getting the file prepared and follows that file through the agreement period. The public truly needs more education and the level of commitment required if they truly want the home. Thanks for this message! Please post to Facebook! Thanks Petra! I know you get how short sale transactions work. You are right on the money about buyer’s agents not understanding the short sale process. Many of them cut of their nose despite their face in thinking they are protecting the buyer when in fact they are increasing the likelihood the sale does not take place. Great article Bill. I love the investors who want to negotiate their own short sales. They get so mad at me when I suggest that they do not have the sellers best interest in negotiation a short sale but their own!! I have been under agreement to BUY a short sale property in MA since 2008! I have received 2 short sale approval letters in the last two years and twice the seller’s bank (Bank of America) could not follow through and agree to a closing date. They use stall tactics that make it impossible to close. Any suggestions for me & other buyers in this situation? Hi Lisa – I want to be sure I understand you correctly….how would you be receiving a short sale approval letter if you are trying to purchase? Please explain the closing date situation. What do you mean by BOA not agreeing to a date and using stall tactics. Lenders in short sales always want you to close as soon as possible! We are buyers, in the situation of having found the ideal house. Sadly it is a short sale. My question is, why does getting lender approval take so long? And can it be shortened by offering more money? Do the incentives of a bank (in this case a big regional bank) line up with that? Alex the biggest reason why short sales take so long is under staffing with most lenders. There is just not enough man power to keep up with all the short sales. The time it takes to get short sale approval unfortunately can not be shortened by offering more money. Bill – These are very good reasons not to accept a short sale offer and something I think many buyers and agents don’t understand. Great article, Bill. Unfortunately, too many potential buyers get into the frame of mind that short sales are a prime opportunity to submit ridiculously out-of-touch low offers. I’ll be RT’ing this one. Thanks for the compliments on my short sale article Alex. Very informative article. Was wondering if you could provide any insight on a unique situation. My husband and I just initiated a short sale on our home – however, it’s from the ‘back end’. We got transferred in early 2010 to another city and bought a home there, and put our prior home on the market. One year later, we have a contract with a buyer. Not surprisingly, we have a deficit and were planning to get a home equity loan on our current home to make the difference. We discovered about a week ago through appraisal that our current home lost 90,000 in the past year rendering us ineligible for a sufficient loan. Looking back, we were naive and made several mistakes. We initiated a short sale with BoA last week. The buyers have not backed out and their offer is reasonable. They are now asking for a pre-occupancy agreement, which I’ll probably agree to to keep them on the hook…but, what happens if the offer isn’t accepted and they are living in the home?! Our realtor has done a few short sales, but isn’t a specialist in them….we weren’t looking for that in a realtor at first. I’m considering stopping mortgage payments at this point because times are tight and we have some unexpected medical bills. Thanks Ally for the comps on my short sale article. You need to be very careful to let a buyer take occupancy of your home in a short sale. You could have a major problem on your hands if the short sale is not approved and then the buyer’s will not vacate your home. I don’t know where you are located but here in Massachusetts the tenant/landlord laws are totally slanted towards the tenant. This could create a huge problem trying to evict someone when you would need to gain access in order to sell. Bill, really great article. I’ve listed several short sales and fortunately they all closed, though I’ve always used a negotiator. I’ve taken offers for buyers on probably a dozen, and none of them have closed, mostly because the listing agent was trying to do it themselves. The investors who want to negotiate their own short sale purchases seem to have really come out of the woodwork lately, too. This year the only short sale I’m working on looks to be the first one listed by another agent that will actually close, Lucky 13. I made a conscious decision to avoid short sales this year and find myself the busiest I’ve been in 6 years, go figure. Anyway, thanks, your blog is fantastic. Thanks for the comps Chris. What you describe is commonplace with short sales. So many agents that don’t have a clue in this area decide that they would like to try to close a short sale. Many of them will not take the time to learn what you need to do in order to be successful. It makes it far more difficult for the Realtors that do. Great post — there’s is nothing more frustrating than trying to close a short sale with a listing agent that has no idea what he or she is doing. You can almost tell from the outset that there is not way this deal is ever going to close. What do you do? Tell the buyer it’s not going to get approved and to move on — or don’t tell them and let them waste 4 months waiting?! Excellent question Jim. 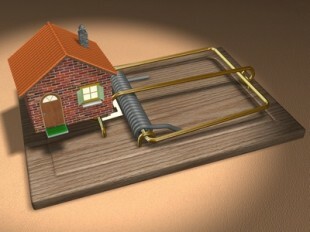 I will tell my client what I believe will happen with the short sale and ask them if they want to take the risk. Those are an awful lot of stridently – some might say obnoxiously – stated conditions coming from someone trying to sell something. I wonder if this is indicative of customer treatment across the broader real estate market these days. If so, I would imagine further slow going for the industry. Here’s a ninth reason; I read your article. Ron apparently you have not done much research on how to successfully close a short sale with a comment like that. 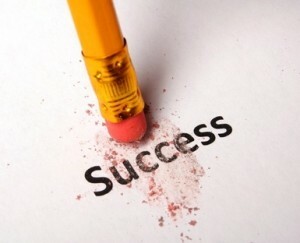 The whole point of trying to sell something is to be successful at it….is it not? The way short sales are done here lead to success. The goal of any home owner looking to short sale their property is to get to a closing and not have the burden of a foreclosure on their record. I am curious where the inspection timeline would be entered on the contract as most contracts here in FL state within 5 business days of effective date. We also attach a short sale addendum which states time periods; most of which are written they start upon written notice from Seller to Buyer that the lender has approved the contract. I could enter it as an additional term of the contract I guess. Just wonering how you change things on your contracts when they don’t adhere to your critieria, which, by the way, is the way I was trained. However, they don’t go into specifics. Thanks Bill for your assistance. Donna I am not sure what you mean by effective date? Do you mean short sale approval? If so I just bought a condo in Florida at the beginning of the year and the home inspection was done prior to short sale approval. I certainly can not understand why a any seller would want a home inspection to be done after short sale approval. You are just increasing the likelihood that you don’t close and have to start the process all over again. From a buyer’s perspective why would you want to wait months, effectively taking yourself out of the market only to find out you don’t want to purchase the place anymore after a lousy inspection? Sorry Bill I guess I didn’t explain myself good enough. I agree with your article. I just received a low ball offer on one of my short sales from an investor at nearly half the list price. Most of my short sale offers have come in at near full price because I price them correctly so haven’t had to deal with a low ball offer so far until now. He was asking to do inspections after approval, which is not acceptable. Effective date on our short sale addendum can be at time all parties sign or when we actually get lender approval. Most people chose the latter (can be negotiated). My seller countered the above offer and now the agent is telling me to have seller sign it and let the bank decide because it gives us more flexibility to help out the seller in erasing the deficiency judgment at a lower and more realistic number…we all know he isn’t working for the Seller. The problem I was having is where I should interject the inspection clause into the contract on a counter offer. Donna the other agent and investor are full or crap!! Helps the seller erase a deficiency judgement? Ya and I just got back from the moon. It was beautiful up there you should see it – LOL. If I were you I would make sure they do their inspection now. They don’t want to spend any money and will just back out if they don’t get the low price they want. I have had 4 short sale approvals from the servicer of my loan with Fannie Mae. The 1st approval was almost one year ago. The same buyer has been trying to get his loan from Wells Fargo but they keep coming up with excuses and delays and then the approval expires. The latest excuse is that underwriting is questioning whether his earnest money deposit check is still good considering it is almost dated a year ago. I would laugh at this but I was required to not pay my mortgage for at least a month to qualify for SS and now I am about 5 months behind. Had the loan gone through and the SS taken place my credit would be in much better shape than it is now. The latest approval is dated 09/01/11. Any ideas as to why his loan is taking so long considering much of the info has been processed from the previous approvals? Ken something here does not sound right at all. I am not sure I understand the situation clearly. Are you saying buyer has been trying to get a loan for a year? If so something is very wrong with that. I should take no more than 5 weeks to get a loan from a bank or mortgage company. From what you have told me there should be no reason why this buyer should not have procured financing by now. Something is fishy here. I do have a law firm that is negotiating the short sale but they have had no luck in getting answers as to the delay. Each time the approval expires because of buyer not being able to get his loan. I believe he is trying to get something called a 203K loan which would enable him to get needed repairs done on house and maybe this is a factor. It just seems that a lot of the details could have been worked out sooner considering I would think these are experienced loan personnel. Another delay was that the buyer had purchased home owners insurance on property required by his lender a year ago and they cancelled that policy considering they weren’t living in the house and had to start a new policy. I am concerned about the “fishy” part too and I am wondering if there could be something going on on the side with some of the party’s thinking that if it goes to foreclosure then everyone accept me could benefit more. But that is just crazy right? Ken the fact that it is a 203k makes more sense as these type of loan are much more rigorous to get. It is strange that a buyer would purchase home owners insurance before he owned the property. This is usually done in the final stages right before closing not well in advance. You should have been made aware up front that the borrower would be getting a 203k. Does the buyer have a Realtor? I presented an offer in the beginning of this month on a short sale property that me and my family loves. Of course the seller accepted but I’m a little skeptical on going through with this because I know it’s a lengthy process. The seller has two mortgages on the property which can be bigger task of approval and there was offer before where the buyer was tired of waiting and the listing was placed back on the market. However, the price was reduced when it was placed back on the market. Could this be a problem? Calvin the price reduction on the short sale is not necessarily a problem. It will come down to whether the sale price is within the ball park of the appraisal or broker price opinion. Hi Bill, I enjoyed reading your article on short sales. I’ve actually been on both ends of the short sale process and find myself in this situation again and was wondering if you could offer some insight. We just put in a cash offer on a short sale (the lender is B of A). It looks like there had been a prior offer about 3 months ago and the potential buyers walked for some reason or other (good for us). We actually offered a bit above the asking price to ensure that ours was the offer that was sent to the bank. I’m assuming that, after having a previous offer on the table, a number of things have already happened, including a BPO, a negotiator assigned, etc. The house was scheduled to go to Trustee Sale on 10/24/11, however they have extended this to 11/23/11 based on our offer being submitted. In your experience, how long might it take for us to hear something back from the lender? It is being done through the Equator system. Thanks for any feedback you can offer. Hi Krystle – You mention that you made an offer above asking price in hopes the seller will be sending your offer to the lender. What you should be doing is making sure that your offer is signed by the seller. If the seller does not sign your offer there is no contract in place and the seller can continue to collect offers that may be better than your clients. While the things may have taken place that you mentioned it does not necessarily mean that the time frame will be dramatically improved. The lender may decide to do another BPO and also ask the seller to update all their paperwork again depending on how much time has lapsed. Unfortunately there is no way of knowing how long the process is going to take. Does the seller have an attorney working on the file, a negotiation company or is the Realtor doing it? I would want to know what the success rate for short sale approval of the person handling the file. I am a seller in a short sale, our realtor is a quack…and we are dealing with Bank of America, which has been a complete nightmare. This short sale has been going on since late June and we are not expecting an answer any time soon. Bank of America has asked for the same information 3x’s. So dealing with our realtor and Bank of America has been crazy…..this whole ordeal is just aweful..we are not behind in our payments, my husband is working, but I lost my job, so we will be having a hard time making payments of 1900.00 a month, Bank of America will not work with us. Every program we have applied for have been turned down, It really is a shame that Bank of America is so greedy.. hope they like being in the Real Estate business.. I have a question I want to make an offer on a short sale where they are asking 92,000.00, like you stated I dont want to make a ridiculouse offer but I would like to offer in the 80’s, do you think this is too low of an offer? Hi Briana – Assuming that the home is listed properly at the right price that is probably not out of line. It is a pretty big assumption however, that the property is listed correctly. There are many agents in short sales that don’t have a clue with what they are doing. Great article. We address all these issues with an addendum and go a step further and require pre-approval of all non-cash buyers by our preferred lender prior to offer acceptance. That has really weeded out the bad buyers who never would have closed anyways. Check out my Chicago based short sale blog on my site to see what we have going on in our neck if the woods and let me know your thoughts. This was a great article. I am currently in the process of purchasing a short sale (aka awaiting the banks approval). I found out today that the bank is going out to do the Brokers Price Opinion; baby steps. Thanks for sharing your knowledge of short sales! Thanks Stephanie – good luck with your short sale! Hello Bill! My husband and I are first time home buyers. We put in an offer on a condo in early September of 2011. It is a short sale and the seller had 2 loans on the property. We were told that the seller accepted our offer right away and the bank recently got back to us for the first time on December 2, 2011 and said they did not accept our offer of $179,000 (which was list price) and wanted $195,000… is that normal? That seems like a big jump! They will not negotiate the price. We accepted their offer (because is still a good deal compared to the other condos that are for sale in the area) and we are currently waiting for written approval from the bank. We are growing impatient and our lease of our current apartment is up in 1 week. The seller said we could rent from him until closing… is that a good idea? Please get back to me, this is stressful! haha. Also, in your experience, how far away are we from closing if everything goes well? Katie first let me say that I am confused by your statement that you were told the seller accepted your offer. If the seller accepted your offer I hope you have a signed contract otherwise someone else can come in at a moments notice and submit a higher offer than yours and you would be out of luck. In regards your your question you pretty much answered it yourself. The bank counter offered because the list price was too low. From what you have said $195,000 is a fair price. As far as renting goes it would help you guys out. I am not sure it would be prudent for the seller though. I would have to know the file to understand whether it makes sense or not. It does not sound like you are too far away from being able to close. Hi Cliff – the fact that we are a two contract state really has very little to do with the items mentioned in the short sale article. The major terms of the P&S are already spelled out in the offer. Our offer to purchase agreements are legal and binding so the terms set forth there need to be what everyone is agreeing to. I would be willing to bet most of the items you include in your addendum are in an offer to purchase for one of my short sale contracts! Hi Bill, I enjoyed your article and comments but I have a question of a different nature. My husband and I found a house in Tennessee that was a short sale. We were told there was already a contract on the house but they would submitt ours as a 1st priority back up contract. We offered $185,000.00, cash but the people with the first contract got the house for $165,000.00 and financed it. Can the bank not look at two offers at the same time and award the contract to the best offer? The house was listed on the short sale for $189,000. Honey – You have to remember the seller owns the house. They only have to present what they want to the bank for approval. So the seller was not under any obligation to present your offer. Question: We are supposed to close on a house next Monday. The seller says he is not ready to move out until Jan 30th. If we don’t close by Monday, we will be outside the 30 days window to close. The seller’s agent is proposing doing a use and occupancy and closing as planned but letting the seller “rent” the property from us until the 30th. Does that sound reasonable? How do we guarantee that they will move out on the 30th? This sounds fishy to me. Renting the place also is a big risk. Once you close, you own the property and anything that happens from there is your risk including damage, the seller not leaving, etc. Remember if the seller did become uncooperative and you threatened legal action it will not do much good as you can’t get blood from a stone. I would suggest consulting with an attorney if you haven’t already. My husband and I have looked at a short sale that we really like. We are working with an excellent realtor who has been very candid that this process could take up to a year, so we are hesitant to jump in. Our house will go on the market in a couple of weeks and we are really not in a position to wait it out that long. However, it is not out of the question. My question for you is this: the house is a four bedroom being marketed as a five. It clearly states in the listing that the deed is for a four bedroom septic, and there is not room on the property to increase the size of the septic in the future. I think this is a red flag for a number of reasons, but I wonder if it can actually be helpful in submitting an offer on a short sale. Kim – All the lender is going to do is approve the terms submitted to them. The lender is not going to care if the Realtor is misrepresenting the septic system capacity. We have a short sale house under contract since October 3rd 2011. Last month our agent told us bank (BOA) has sent the appraiser to the house. There has been no word yet! Is this common? Mandy it would depend on when the appraiser was sent for the short sale evaluation. Do you mean the appraisal was done last month or sometime before? If it was just last month you may hear something soon. We are at the end of a 7 month wait to purchase a short sale. The sellers are getting divorced and getting anything signed from them is a Pain. We are supposed to close next week, but we still don’t have the final short sale approval from either of their 2 mortgage holders. Can the seller’s banks hold out like this? They had the audacity to ask for a 30 day close and now our lender is asking for those letters to guarantee funding. We are supposed to provide proof of funding to fulfill our end of the P&S. But we can’t because the sellers’ (banks…) haven’t given us the approval letters that our mortgage company requires….. Do we have any recourse? we’re ideal buyers, we have 25% to put down. We’re sick of the delays and run around.. Can we do anything besides just taking it and waiting??? Paul – something does not smell right here! When did the short sale lenders ask for a 30 day close? I ask this because the lender does not give closing terms until after short sale approval comes not before. Are you sure this was not the seller’s Realtor giving you these terms? There is no recourse for you with the lender. Your contract is with the seller not the lender. Bill, This is helpful – but may leave one question unanswered. Can a seller/realtor not disclose that they are in a short sale situation? We have an accepted full price deal that was supposed to close yesterday, but all of a sudden we can’t get the payoffs from their bank – and we’ve found out the seller needs to bring money to closing – ie they’re underwater. We’re ready to perform and they couldn’t. Now we’re getting nervous and have a big 10% deposit in escrow. Hi Chuck – A seller has to disclose a short sale but only in the event that they do not have the ability to bring funds to the closing and needs lender approval. If they have the ability to close without approval from the lender disclosure is not necessary. We made an offer on a short sale (within 20k of asking) over two years ago which was declined. Now, two years later, the house is still for sale as a short sale. I believe the people are not really trying to sell,but just go through the motions so they can stay there as long as possible. Is there anything I can do? Hi Brandon – Unfortunately there is nothing you can really do as the home owner can do anything with their property including ultimately letting it go to foreclosure if they elect to do so. You could be right that the seller is trying to remain in the property as long as possible. My husband and I are in the process of buying a shortsale. We are hesitant about get the mortgage commitment prior to receiving the short sale approval. The thing that we are worried about is if the commitment and or appraisal expires prior to hearing back from the bank, which will lead to us paying for another appraisal. We know short sales are long but we’d rather not have to pay for multiple appraisals. Is that something that is likely to happen or are we misinformed? Brianna that is certainly a possibility but it is also the lesser of two evils. There are times when a lender will give you a short window to close and if you don’t have your financing in place and can’t close on time the short sale process starts all over again. From the sellers perspective if you don’t get a loan commitment there is no way of knowing you will.